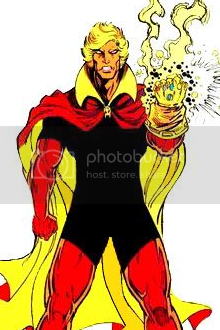 The winner of this match will face either Captain Marvel or Dr. Fate in the Final Four. Voting closes Saturday, June 10th at midnight EDT. I think I'm going with the Tribble on this one. Adam would have a serious problem with Jo'nn's invisibility, I think, and either one could take out the other power wise. Adam's got cosmic awareness. Invisibility shouldn't even be a thing in this fight. 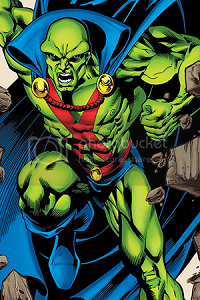 Martian Manhunter overpowers Adam Warlock!